He and his wife Leila live in Portland, Oregon with their two children. Kevin is the director of Traditional/Blended Worship Arts at the United Methodist Church of the Resurrection in Leawood, KS. He has developed a wide variety of worship and musical experiences for the church that have included music, dance, drama and multi-media resources. 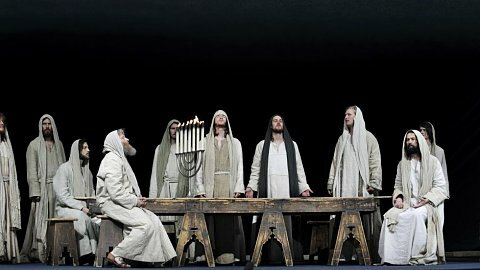 Under his direction, the Resurrection Choir and Orchestra have performed around the country and world. Kevin is also active in the Fellowship of United Methodists in Music and Worship Arts as well as in musical theater in Kansas City. 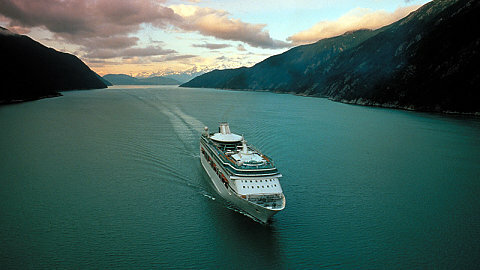 Kevin travels with EO regularly and has been the Musical Guest on past Celebration Cruises. Members of the Resurrection Choir will perform with him during the 2020 cruise. Rich is Ministry Consultant and Ambassador for Health, Hope, and Aging! for Lutheran Church Charities. 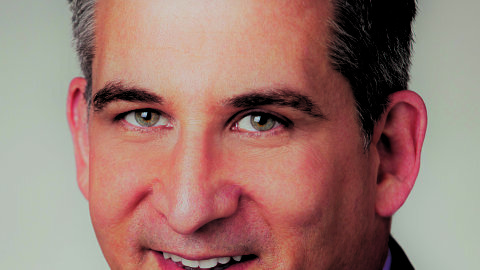 Based out of the Chicago area, he writes, speaks and consults with agencies and organizations throughout the world. 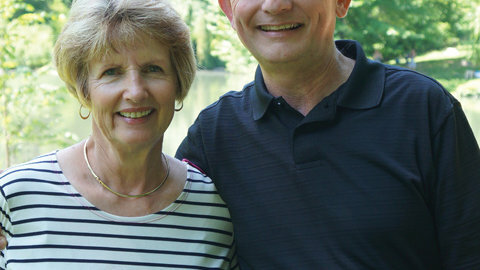 He is author of 17 books, editor for Hope-Full Living: Daily Devotions for Christian Seniors and writer for www.richandcharlie.com. He has served in local churches, district and national denomination positions and on numerous boards and advisory groups. Rich continues to enjoy his family, grandparenting, jogging, St. Arbucks, writing, laughing and the Chicago Cubs. 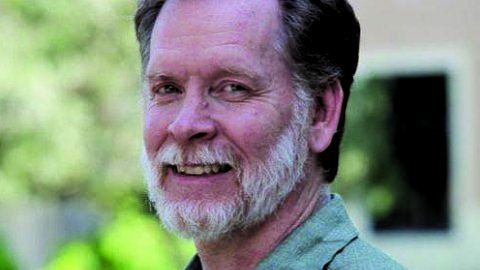 Brent A. Strawn is William Ragsdale Cannon Distinguished Professor of Old Testament in the Candler School of Theology and the Graduate Division of Religion at Emory University. He has twice won the On Eagle’s Wings Excellence in Teaching Award at Candler. Brent is an ordained elder in the North Georgia conference of The United Methodist Church. In addition to his many speaking engagements at churches, he is a frequent contributor to CNN. Brent’s most recent book is The Old Testament Is Dying: A Diagnosis and Recommended Treatment. 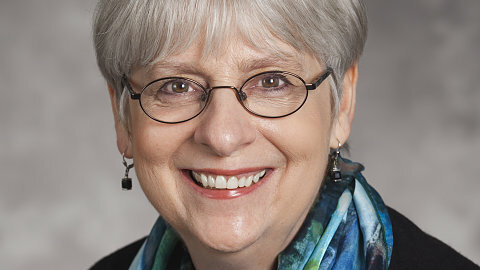 Carol Newsom is the C. H. Candler Distinguished Professor at Emory University’s Candler School of Theology and the Graduate Division of Religion, where she has taught Hebrew Bible since 1980. The first woman on the international team that translated the Dead Sea Scrolls, Carol has also focused on the ways in which women are portrayed in the Bible, and she co-edited the Women’s Bible Commentary, which has sold over 100,000 copies. 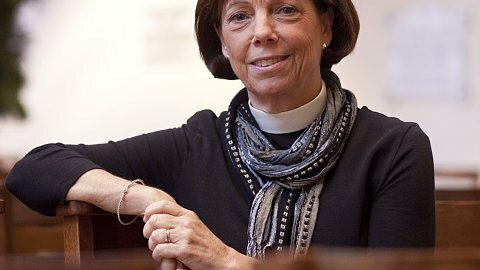 Carol was president of the Society of Biblical Literature and is a member of the American Academy of Arts and Sciences. Rev. 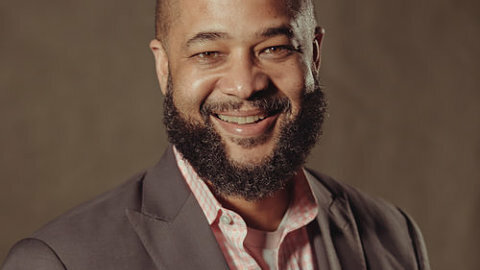 Brian Tillman is Associate Pastor at Ben Hill United Methodist Church in Atlanta, GA. Rev. Tillman is committeda to the core values of grace & mercy AND justice & righteousness, all wrapped up in the love of Jesus Christ. His passion for racial justice and reconciliation began at Morehouse College and continued when he created the Candler Society for Multiracial Congregations at Candler School of Theology. As Chair of the Commission on Religion and Race for the North Georgia Conference of the United Methodist Church, he works to bring the church to racial justice and reconciliation. Bishop Guy Erwin serves the Southwest California Synod of the Evangelical Lutheran Church in America. 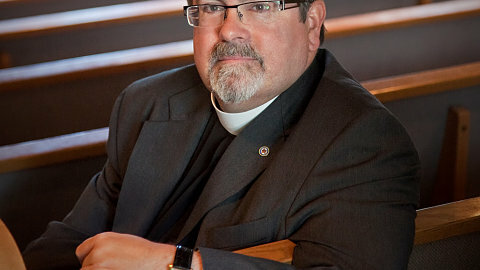 Previously, he has served as professor at California Lutheran University and Yale Divinity School as well as part-time interim pastor for 3 ELCA congregations. 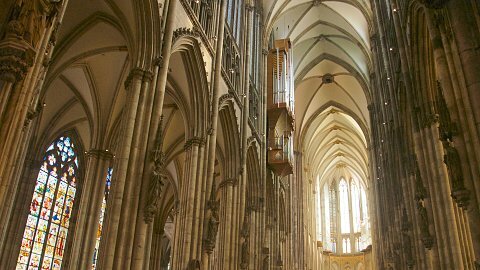 During the Reformation anniversary in 2017, Bishop Erwin gave 30 lectures related to Luther and the Reformation in the US and Germany. Dr. deSilva is the Trustees’ Distinguished Professor of New Testament and Greek at Ashland Theological Seminary. He has published over twenty-five books, including "Honor, Patronage, Kinship and Purity: Unlocking the New Testament," "Unholy Allegiances: Heeding Revelation's Warning," and "Transformation: The Heart of Paul's Gospel." He has also contributed articles to numerous journals, reference works, and study Bibles. 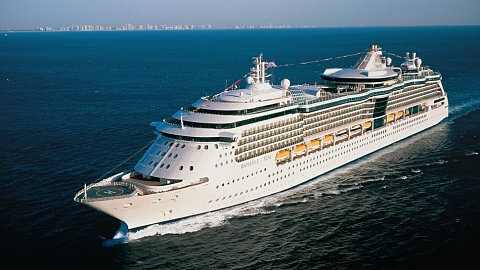 As a popular speaker on several EO cruises, he has taken on the complex subject of the book of Revelation and received high praise. The Rev. Judy Fentress-Williams Ph.D. The Rev. Dr. Judy Fentress‐Williams is Professor of Old Testament at Virginia Theological Seminary and Senior Assistant to the Pastor and Christian Education Director at Alfred Street Baptist Church. Previously she was a member of the faculty at Hartford Seminary. Dr. Fentress‐Williams has published numerous essays and books in addition to being the Old Testament editor and contributor for the CEB Women’s Bible. 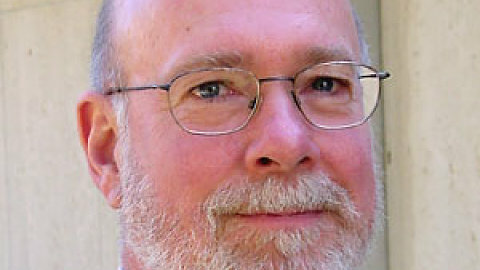 Monte Luker is the Academic Dean of the Jerusalem Center for Biblical Studies. He has lived, studied, and taught in the Holy Land for the past 30 years. In addition to the Land, his primary interests are in the literary and theological analysis of Scripture, and he has contributed numerous articles to Mercer Dictionary of the Bible, Anchor Bible Dictionary, New Interpreter’s Dictionary of the Bible, as well as scholarly and church-related journals. Dr. Luker’s books include Doom and Hope in Micah; Passion, Vitality, and Foment: The Dynamics of Second Temple Judaism; and An Illustrated Guide to the Holy Land For Tour Groups, Students, and Pilgrims (Abing- don, fall 2013 see www.AbingdonAcademic.com/HolyLand). Dr. Luker has been Adjunct Professor of Bible at the Jerusalem Center for Biblical Studies since 1997. He is a member of the Society of Biblical Literature, the American Schools of Oriental Research, the Biblical Archaeology Society, and the National Association of Professors of Hebrew. David Faust is currently Associate Minister at East 91st Street Christian Church and focuses on biblical teaching, leadership development and pastoral care. He was senior minister at E91 from 1999 - 2002 and then president of Cincinnati Christian University for 12 years. He has planted churches, written 15 books and writes a weekly column for THE LOOKOUT magazine. 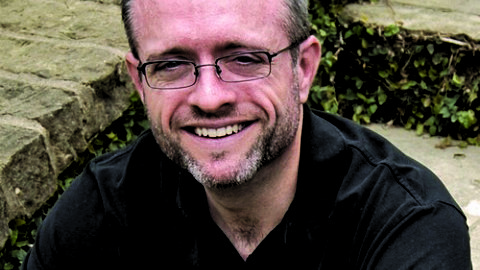 Dr. Craig C. Hill is Dean and Professor of New Testament at Perkins School of Theology. Previously he was on the faculty at Duke Divinity School and Wesley Theological Seminary. 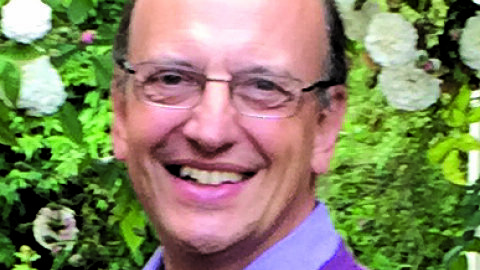 Dean Hill served as Chaplain at Christ Church College, University of Oxford and has been on staff at three United Methodist Churches. Dean Hill is also the author of numerous scholarly articles and books. Pastor Bryan Loritts serves the Abundant Life Christian Fellowship of Silicon Valley, California, as the Lead Pastor. He is an award winning author of five books and his latest book is Saving the Saved. Pastor Loritts co-founded Fellowship Memphis, and The Kainos Movement- an organization committed to seeing the multiethnic church become the new normal in our world. 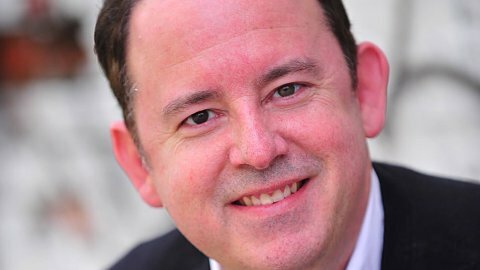 In addition he preaches at conferences and events, and serves on the board of trustees for Biola University and PineCove Christian Camps. His messages can be heard daily on the Salem Radio Network’s KFAX station. 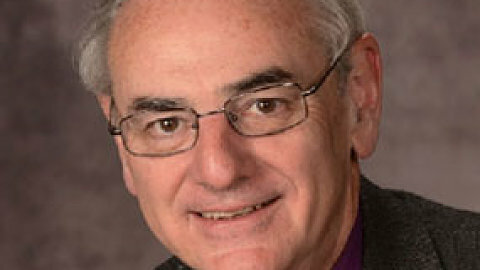 Bishop Larry M. Goodpaster serves as resident bishop for the Western North Carolina Conference (Charlotte, NC) of The United Methodist Church. He has taught in a variety of settings and published in various denominational publications. His book, "There's Power in the Connection," was published in 2008 by Abingdon Press. 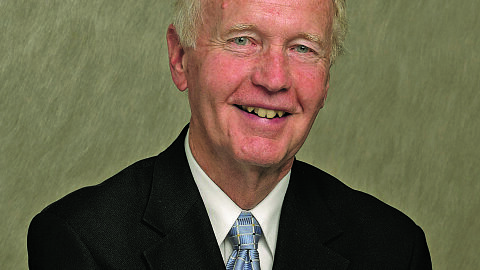 From 2010 through 2012, Goodpaster served as president of The United Methodist Church’s Council of Bishops. Goodpaster earned a Bachelor of Arts degree from Millsaps College, Jackson, MS and both Master of Divinity and Doctor of Ministry degrees from Candler School of Theology, Atlanta, Ga. He has also received honorary degrees (Doctor of Divinity) from Birmingham-Southern College (Birmingham, AL), Huntingdon College (Montgomery, AL), and Millsaps College (Jackson, MS). Dr. LeRoy Lawson is International Consultant for CMF International. He recently retired from Distinguished Professor of Christian Ministries at Milligan/Emmanuel Christian Seminary. His 50 years of ministry has included youth, pastoral and teaching ministries. Mark is recently retired. He served more than 40 years as an editor and publisher at Standard Publishing, most recently with Christian Standard Magazine. 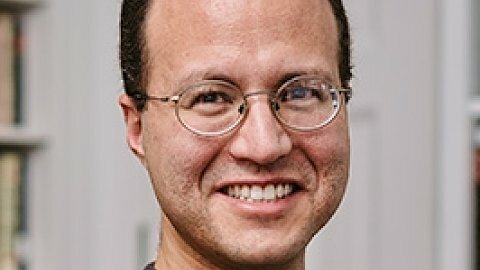 Jaime is Professor of New Testament and Altshuler Distinguished Teaching Professor at Perkins School of Theology at Southern Methodist University in Dallas, TX. 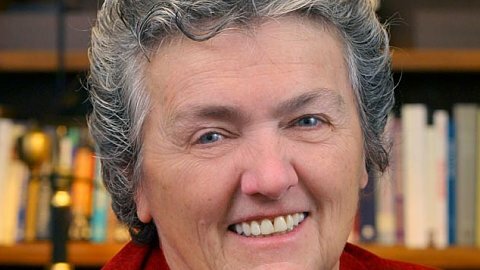 She speaks and writes widely for academic and popular audiences, including contributions to Feasting on the Word, Disciple Bible Study, and Covenant Bible Study. She served as an author and the New Testament Editor for the CEB Women’s Bible. Her most recent book is Reading for Dear Life: A Spiritual Walk with the Fourth Gospel. Jaime is an ordained American Baptist minister and has served parish and hospice settings. She is married to Thad and has two children, Chloe and Caleb. Paul is an accomplished vocalist and pianist. He has performed on some of the biggest stages in the world in opera, Broadway and Christian music. His passion is leading people in worship. He has served in churches since the age of 13 and is currently Director of Music Ministries at Centenary United Methodist Church in New Bern, NC. 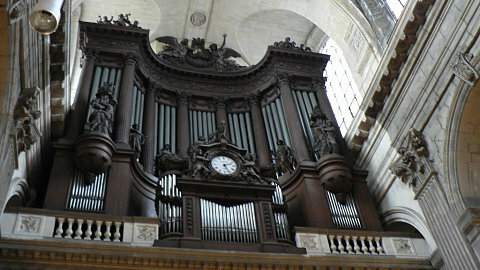 He also leads worship for special events and performs concerts around the country. 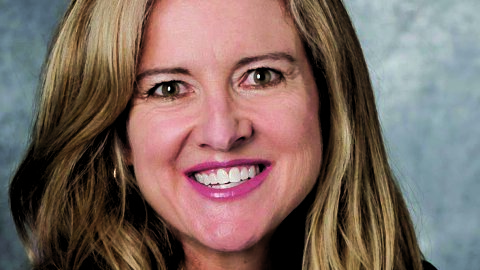 Deb is a sought-after international speaker for women’s events and leadership workshops. She has a passion for sharing Christ’s love and engaging women in God’s word. She is the author of several books including the best-seller Living a Chocolate Life and her newest Sip, Savor, & Drink Deeply. Deb is a follower of Jesus, a wife, and a mom. Her blog is Fragrant Offerings. 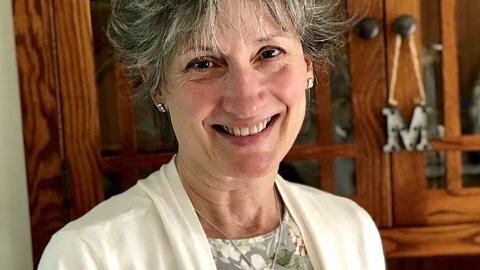 Connie is a family life educator as well as a Visual Faith Coach learning to be a Digital Missioner. Her blog is Vintage Grace. She seeks to live life as prayer and loves beauty in the sacred space of home. 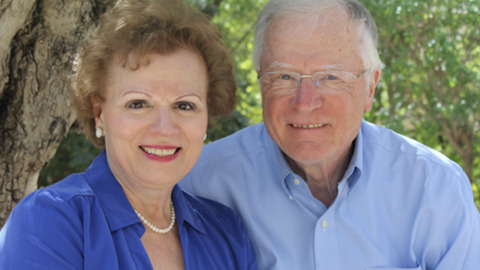 She is encourager to John – a church executive, 3 daughters & spouses and Gigi to 4 grandsons. 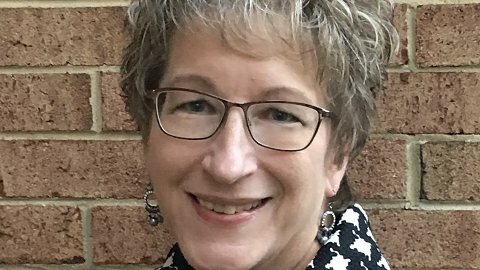 Pat enjoys writing, drawing, and “imagining” to inspire others in their walk with Jesus. 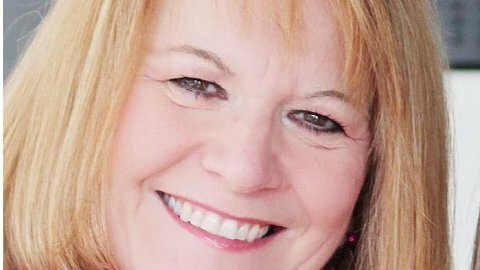 She currently plans and presents at retreats and women’s events plus teaches about Visual Faith in the Great Lakes area. Some of Pat’s art will be included in the upcoming The Enduring Word Bible from CPH. She and her husband David – a church executive have 4 children, 2 sons-in-love and 2 grandchildren. 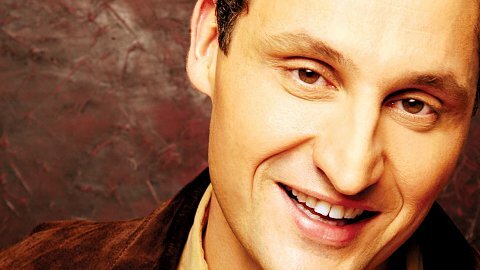 Phillip Gungor is an international marriage speaker as well as the Chief Operating Officer of Laugh Your Way America. 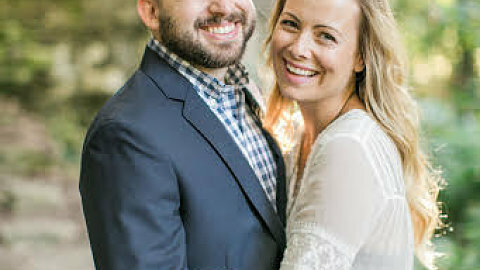 Over the past 13 years Phil has worked with his father, Mark Gungor, to inspire and strengthen thousands of marriages and families all around the world. Phil is on a mission to help married couples learn how to succeed. He believes the key to finding that success is by learning how to do the “right” things in your marriage. With truth and humor approach Phil uses comedy as well as unforgettable illustrations to teach proven principles that are guaranteed to strengthen any marriage. 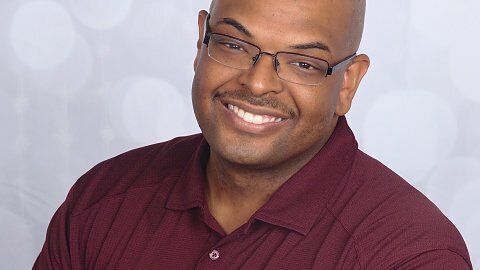 In addition to working for Laugh Your Way America Phil is an associate pastor and board member of Celebration Church located in Wisconsin. Phil has been married to his wife Kirsty for 16 years, and they have four children ranging from three years old to eleven. 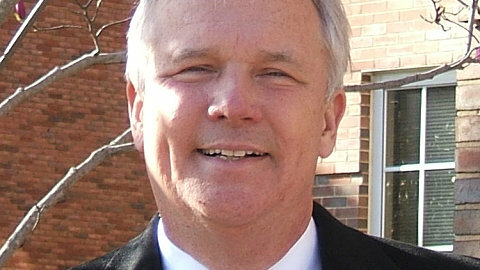 Benjamin Michael Watson has been the resident bishop of The United Methodist Church’s North Georgia Episcopal Area since 2008. The North Georgia Conference has over 362,000 members, 950 congregations, and 1,400 clergy. In 1949, he was born into an active Methodist family in Dothan, Alabama. After graduating from Dothan High School, he received a Bachelor of Science degree in finance and real estate from The University of Alabama, a Master of Divinity degree from Candler School of Theology at Emory University, and earned a Doctor of Ministry degree from Vanderbilt University. In 1972 he was ordained deacon by Bishop W. Kenneth Goodson, and in 1976 he was ordained elder by Bishop Carl J. Sanders. Bishop Watson was elected to the episcopacy by the Southeastern Jurisdictional Conference in 2000 and was assigned to the South Georgia Area where he served until 2008. 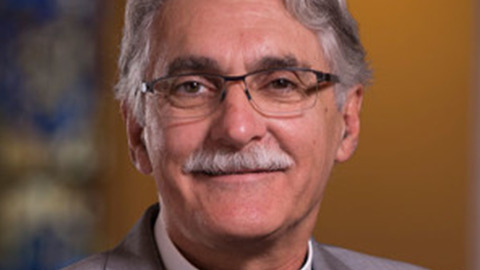 Bishop Watson is currently the president of World Methodist Evangelism, chair of the World Methodist Evangelism Institute, and on the Steering Committee of the World Methodist Council. He is the secretary of the Council of Bishops Leadership Team on Ecumenical and Interreligious Relations. He serves on the Board of Trustees of Emory University, Gammon Theological Seminary, the Moscow Theological Seminary, Clark Atlanta University, LaGrange College, Paine College, Reinhardt University, Wesleyan College, Young Harris College, UM Children’s Home, Georgia UM Foundation, Camp Glisson, Simpsonwood Conference & Retreat Center, the Methodist Foundation for Retired Ministers, and the William I. H. and Lula E. Pitts Foundation. Bishop Watson is a past president of the Southeastern Jurisdiction College of Bishops. 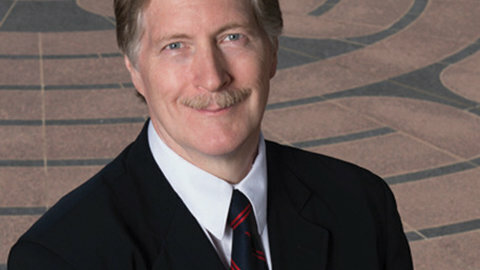 He is the immediate past chairperson of the Board of Directors of the General Board of Pension and Health Benefits (the largest denominational pension fund in the world, with over $18 billion in assets and 74,000 participants), and he served as vice-chairperson of the General Commission on United Methodist Men. As a member of the Alabama-West Florida Annual Conference, Mike Watson received the Denman Evangelism Award in 1990. He served from 1975-1977 as pastor of Aldersgate United Methodist Church in Molino, Florida, and from 1977-1979 as pastor of Christ United Methodist Church in Milton, Florida. 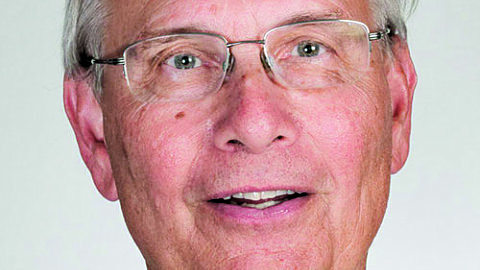 He was appointed to start a new congregation in his hometown, where he served as founding pastor of Covenant United Methodist Church from 1979-1990. From 1990 until his election to the episcopacy by the Southeastern Jurisdictional Conference in 2000, he served as the pastor of Dauphin Way United Methodist Church in Mobile, Alabama. 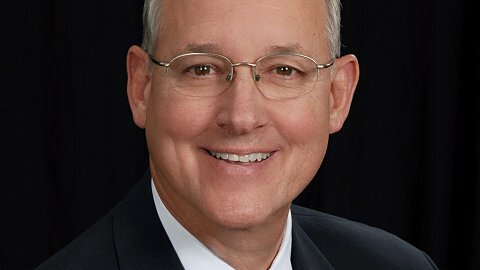 Bishop Watson also served as president of the Mobile County School Board, which is the largest school system in the state of Alabama with more than 66,000 students, nearly 8,000 employees, 100 schools and a $450,000,000 annual budget. He served as chairperson of his conference Board of Ordained Ministry, chairperson of the conference Three-year Covenant Community for Spiritual Formation, chairperson of the steering committee of the Southeastern Jurisdiction's larger church consultation, a member of the Emmaus Community, a trustee of several colleges, a member of Emory University's Clergy Advisory Council, president of the Mobile Rotary Club, president of The University of Alabama alumni chapter, president of the ministerial union, board member of the United Way, Boys Club, Girl Scouts, Red Cross, and Inner City Mission. He had also served as the president of the Dothan Kiwanis Club. Bishop Watson has written for the Adult Bible Series, The Living Pulpit and The Upper Room. 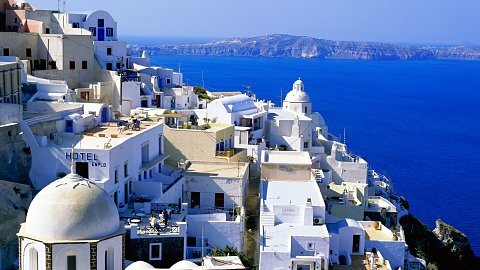 He has traveled and spoken extensively in over sixty countries around the world. He was a delegate to World Methodist Conferences in Singapore (1991), Rio de Janeiro, Brazil (1996), Bristol, England (2001), Seoul, Korea (2006), and Durban, South Africa (2011), and has been a part of every General Conference of The United Methodist Church since 1996 in Denver, Cleveland, Pittsburg, Fort Worth, and Tampa. Bishop Watson is married to the former Margaret Lee and has two children, Ben Watson and Elizabeth Watson Riddle. He is also the proud grandfather of Alex and Andrew Watson, and Camilla, Watson and Emmaline Riddle. 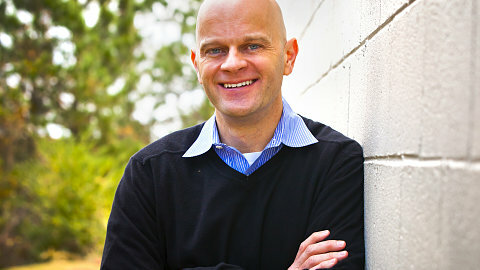 David Alexander has served as a Pastor in the Mansfield community since 2005. 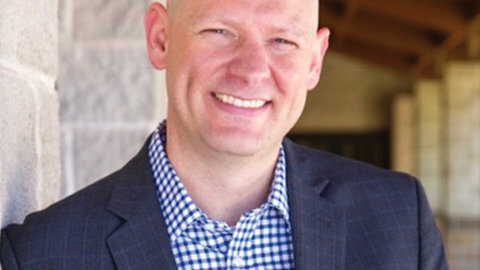 After serving in various leadership roles, he was appointed as the Senior Pastor of First Methodist Mansfield in January of 2015. David has described his passion and understanding of his pastoral ministry in this way. "I believe that following Jesus is the best way to live. My life and my work is about helping people follow Jesus.” David is also the author of the book The Deep End, which focuses on the deep questions of the Christian faith; a book he describes as being for anyone who has ever felt like "the process of finding faith sometimes feels like you are losing faith.” If you would like to read more of David’s writings, you can find those at www.pastordavidalexander.com. 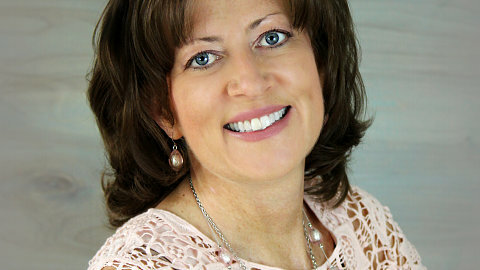 Jan Deardorff thrives on dreaming big and enriching women’s lives by helping them become all that God wants them to be. Jan started her Mary Kay Business in 1991 and has driven free over the last 27 years earning the use of 15 free cars, 5 being Pink Cadillacs. Jan has built her unit to produce upwards of $500k in retail sales annually. She believes, while it is not always easy, you can enjoy life to the fullest, it is a matter of want to! 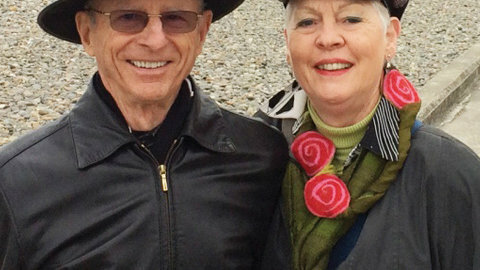 Deb Lewis & Doug Adams went on a fifty-state - 18k mile bicycling tour to raise awareness of veteran and military issues. Their passion is to help others build stronger relationships, love their lives and fulfill their dreams. Deb is a daughter, sister, wife, mother, pioneer, retired Colonel, Combat Veteran, Harvard MBA, Author, Speaker, Leader, Adventure Guide and much more... Doug is a son, brother, husband, father, grandfather, retired Lieutenant Colonel, Cyclist, Lawyer, Author, Speaker, Non-profit Leader, Adventure Guide. Rev. 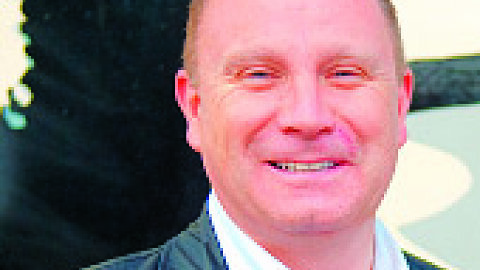 Dr. Gary Mason is a Methodist minister and directs a conflict organisation based in Belfast called "Rethinking Conflict." Prior to this, he spent 27 years as a Methodist clergy person in parish ministry in Belfast and has played an integral role in the Northern Irish peace process. He had a key role in establishing the Skainos project which is a world class urban centre developed in a post conflict society as a model of co-existence and shared space. 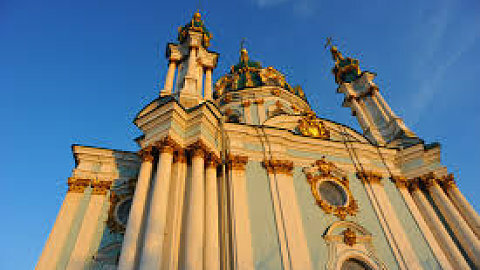 It is acknowledged as the largest faith-based redevelopment project in Western Europe. Mason is a close advisor to Protestant ex-combatants on the civilianisation efforts of paramilitaries. He was instrumental in facilitating negotiations with paramilitaries and government officials in Northern Ireland, and in 2007 his contribution was formally recognised by the Queen. In 2009, Mason’s church was the stage from which Loyalist paramilitaries announced their weapons decommissioning. Mason has lectured in political and academic forums throughout Europe, South Africa, the Middle East and the U.S.A. on lessons from the Irish peace process. He has been interviewed on CNN, BBC, ITV and various radio programs. He holds a PhD in Psychology from the University of Ulster, completed his theological studies at Queens University and has a Bachelor’s in Business Studies from the University of Ulster. Gary is a Senior Research Fellow at the Kennedy Institute for Conflict Intervention at Maynooth University in Ireland. He is an Adjunct Professor at the Candler School of Theology at Emory University in Atlanta, lecturing on reconciliation, peace building and the history of the Northern Ireland conflict, racism, sectarianism and conflict transformation. 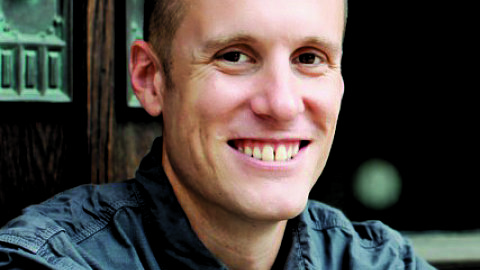 Matt Miofsky is the Lead Pastor of The Gathering in St. Louis, Missouri. Since he started the church ten years ago, it has grown into a multi‐site ministry with four sites spread out across the city and over 1500 in weekly attendance. Matt is a graduate of Washington University in St. Louis and Emory University in Atlanta. Matt is passionate about church planting, especially in the context of multi‐site ministry. He is the author of Happy? 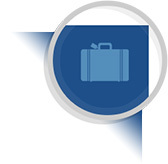 What It Is and How to Find It and Fail: What to Do When Things Go Wrong. Born in Illinois, my father was an Episcopal priest; my mother, a registered nurse. After a brief move to Connecticut in the mid 60’s, our family relocated to Jackson, MS. Growing up I was very active in the Church and at Gray Center, the Mississippi diocesan camp and conference center. I graduated with a BA from Millsaps College in Jackson in 1981 and left that summer for my priestly and academic formation at Virginia Theological Seminary. In June 1984, I was ordained to the diaconate and sent to St. John’s Episcopal Church in Pascagoula, Mississippi where I would serve first as curate and then as interim rector. In 1988, Dixon Myers and I married and I returned with him to Jackson and worked for both the Chapel of the Cross in Madison, MS and as chaplain at St. Andrew’s Episcopal Day School. In 1989, we moved to Sewanee and the University of the South where I had accepted their call to serve as associate University Chaplain, a role I held for nearly a quarter of a century before moving ‘across the street’ to the School of Theology to become their first associate dean for recruiting and admissions. Dixon and I have two grown children who both currently live in California. My vocational passions are liturgy, Christian Education, and pastoral care. Along side all of this, I am keenly fond of dabbling in the arts: in particular calligraphy, fiber art, watercolor, and sewing. Dr. Wayne Pernell brings more than thirty-five years of experience as an advisor to leaders. 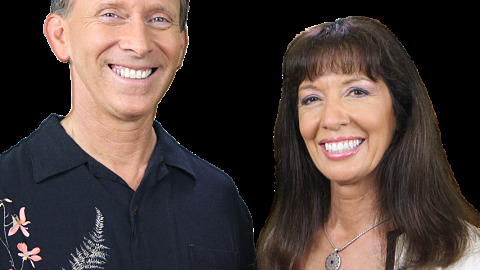 Dr P. has appeared in Forbes, and featured on Fox and NBC, and is an internationally acclaimed and best-selling Author, Speaker, and Certified High Performance Coach. Dr. Pernell leverages clarity and focus as foundational elements in building relationships and developing leadership skills, the basis for his DynamicLeader programs. Phil is a scholar, storyteller, speaker, and Associate Pastor of Grace Lutheran Church in Eau Claire, WI. He taught at Texas Lutheran University for eighteen years as a professor of theology, winning awards for excellence in teaching. His primary research interest revolves around performing large sections of Scriptures by heart. 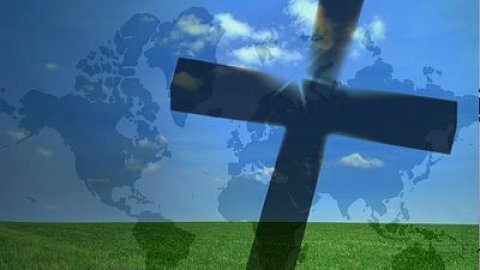 He has performed the Gospel of Mark in the United States, Latin America, and Europe. He is the author of The Word of the Cross in a World of Glory and coeditor of a volume entitled, The Bible in Ancient and Modern Media. Rev. Dr. Gregory Seltz is the Executive Director of the Lutheran Center for Religious Liberty in Washington, DC. Previously, he was the Speaker of The Lutheran Hour radio program with over 1 million listeners across North America. He has also served at Concordia University Irvine, Life's Journey Ministries and in congregations in New York city, Dallas and Tampa. 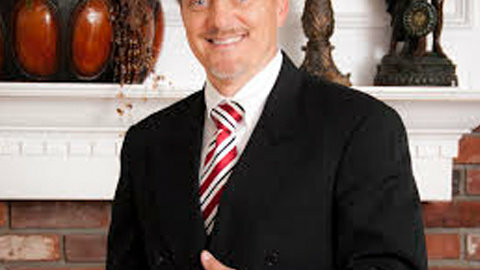 ~~Shane Stanford is the Senior Pastor of Christ United Methodist Church, a 6,000-member congregation in Memphis, TN. 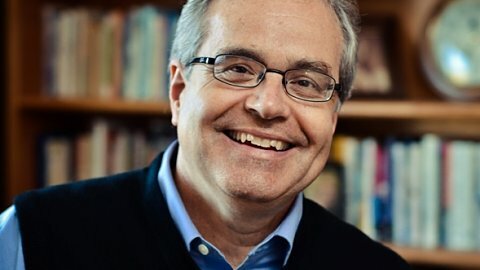 Stanford is the author of numerous books including The Seven Next Words of Christ, Mosaic, You Can’t Do Everything… So Do Something, The CURE for the Chronic Life, Making Life Matter, The Five Stones, and What the Prayers of Jesus Tell Us About the Heart of God —all published by Abingdon Press. He also wrote A Positive Life (Zondervan 2010) and When God Disappears (Regal 2008), both detailing his journey as an HIV-positive and HepC-positive (both contracted through blood transfusions used to treat his hemophilia) minister, father and husband. Stanford travels extensively sharing a story of hope and courage grounded in his faith in Jesus Christ. He has spoken at several national venues including the 2006 Saddleback Global AIDS Summit where he shared the agenda with such notables as, then-Senator Barack Obama, Franklin Graham, and John Ortberg. He has appeared on various media outlets including ABC’s Good Morning America, CNN, Canada’s Harvest TV, Fox & Friends, and Life Today. Stanford is also the co-host (with Dr. Maxie Dunnam) of We Believe in Memphis and the teacher/host of You Matter, two television programs airing in the Memphis metro area. For four years, Stanford hosted The United Methodist Hour, a radio and television ministry which aired in more than 30 million homes. Stanford is currently the co-host of a nationally distributed DVD/media Bible study series entitled Covenant, published by the United Methodist Publishing House. Stanford is a graduate of the Honors College of the University of Southern Mississippi (B.A), Duke University (M.Div.) and was awarded a honorary doctorate (D.D.) from Asbury Theological Seminary. He also has extended training in Marriage and Family Therapy and Counseling. 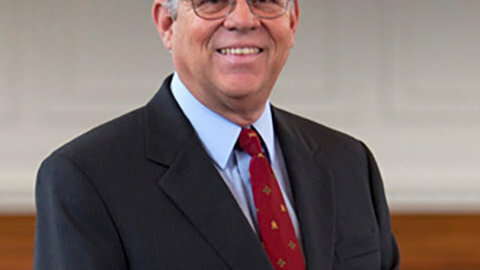 Stanford is an ordained Elder in the United Methodist Church. He is married to his high school sweetheart, Dr. Pokey Stanford, and they are the parents of three daughters, Sarai Grace (20), Juli Anna (17), and Emma Leigh (13). Laura Steward is a sought after business strategist, speaker, radio host and author. 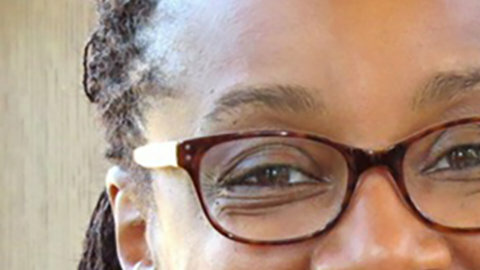 After building and selling her highly successful multi-state technology services company she started Wisdom Learned, LLC, a company dedicated to educating leaders based on experience and wisdom learned in the trenches. 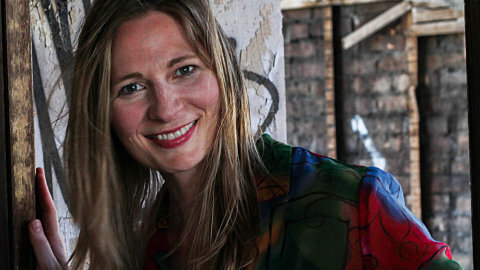 She is the author of the Nautilus award-winning, International bestselling book “What Would a Wise Woman Do? Questions to Ask Along the Way”. Through her weekly broadcast Radio Show, It’s All About the Questions, keynote speeches, books, seminars, training and one-one sessions, Laura’s mission is clear – help people get off autopilot and create amazing, successful lives. 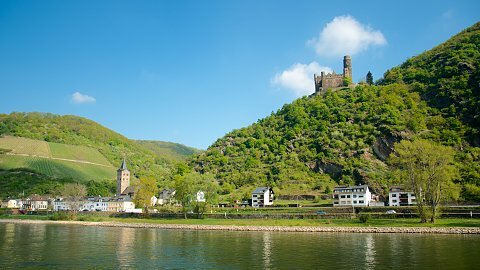 Peter was Professor of Biblical Studies at Trinity School for Ministry (near Pittsburgh). He is ordained in the Church of England and served a parish in England before teaching for many years at Wycliffe Hall in the University of Oxford. Peter is author of In the Steps of Saint Paul and many other books. 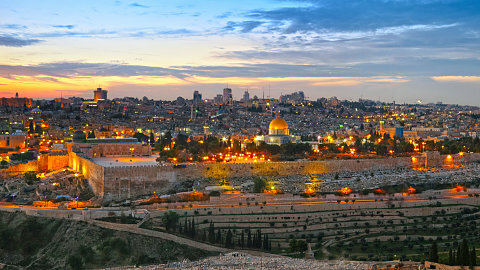 He has led many study tours of Biblical sites in the Holy Land and around the Mediterranean. Bishop Willimon is the most read author among United Methodist pastors. He is a Professor at Duke Divinity School and former Dean at Duke Chapel. His works include books on the Methodist Reformation, Revitalization of the Local Church, Evangelism of young adults and missions.